Garry Disher’s Wyatt, master thief with a code, returned spectacularly in the eponymous reboot in 2010 which went on to win the Ned Kelly Award for Best Fiction. Kill Shot is now the third book in what is essentially a second series of Wyatt books (the first series coming out in the late 80s and early 90s) and it starts to provide a glimpse as to why Disher might have given the character an initial sabbatical. Kill Shot opens in Sydney. Wyatt has moved to the harbour city to carry out a series of jobs scoped by an old criminal mate called Kramer. Kramer is in prison but while on day release he passes information about potential jobs to Wyatt. When the book opens, Wyatt is in the process of stealing Ned Kelly memorabilia from an old collector, a job that goes off without a hitch. Wyatt keeps a cut for Kramer which he doles out to Kramer’s family. Unfortunately for Wyatt, that family includes waster son Josh who brags about the cash to an Afghanistan vet mate of his. At the same time, a dogged policeman has put some facts together and is also closing in on Wyatt. So without really being aware of it and, despite all of his obsessive precautions, Wyatt falls in the crosshairs again. But first he has a job to pull. Tremayne, a financial con man whose plans are coming apart and reportedly has a secret nest egg hidden ripe for the picking. Wyatt heads to the city of Newcastle, just north of Sydney to scope it out, little realising that not only Tremayne but all of the people around him have their own crooked agendas. As Wyatt observes towards the end of the book: “No plan, however well conceived and executed, will survive intersection with someone else’s compulsions.” And as in previous instalments Disher spends as much time exploring the machinations of all of the side players as he does with Wyatt. Which is actually for the best as Wyatt himself is and always has been a cipher. His character, the cautious, flexible, intuitive thief, has not changed much since his first outing. Most interesting in this book is the way in which new technologies – facial recognition, back to base alarms, mobile phones – make his life harder while others – GPS trackers in particular in this book – make it easier. Wyatt himself acknowledges that he “could barely outwit the alarm system in a suburban house these days”. But it is the side characters that are the most interesting. The cast of ne’er-do-wells that orbit around Wyatt are all awful in their own special ways. Venal, grasping, violent and amoral, the idea being to cheer for a bad guy because the people he is ripping off are so much worse. Most engaging is the dogged old police investigator who is on the outs with his colleagues but is the only one who has a grasp of what is going on. But it feels like the Wyatt franchise, even in its rebooted form, is starting to suffer from the law of diminishing returns. While there is still fun to be had in seeing how Wyatt deals with rapidly changing fortunes and constantly slips out of various nets drawing in on him, after a while it starts to feel a little formulaic. Given what readers know about Wyatt there are few surprises, just a very skillful marshaling of a number of disparate plots and characters to generate tension. 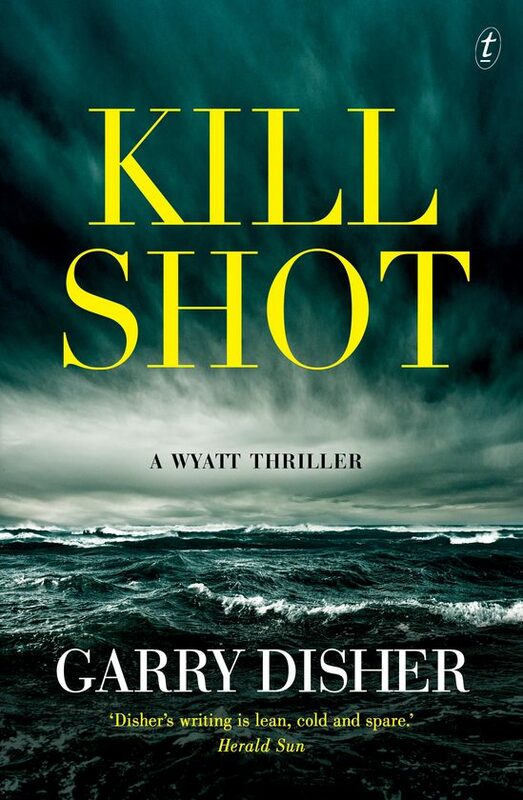 So that while technically Kill Shot is an accomplished novel from a crime writer who knows his stuff it does not engage in the same way as some of Disher’s other work.